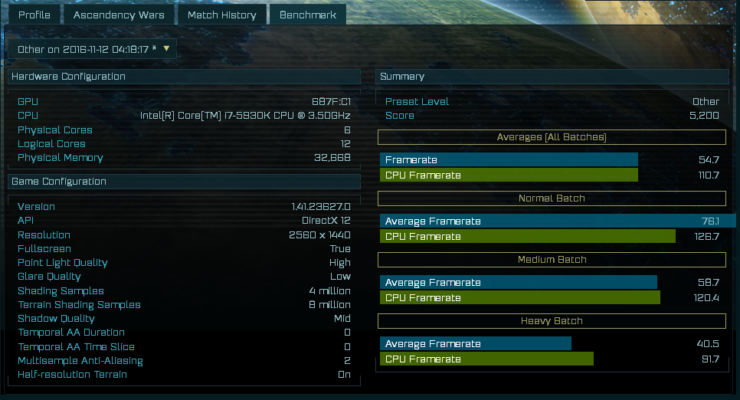 Some interesting performance numbers of an unreleased AMD GPU which could possibly be the Radeon RX 490 have been found. 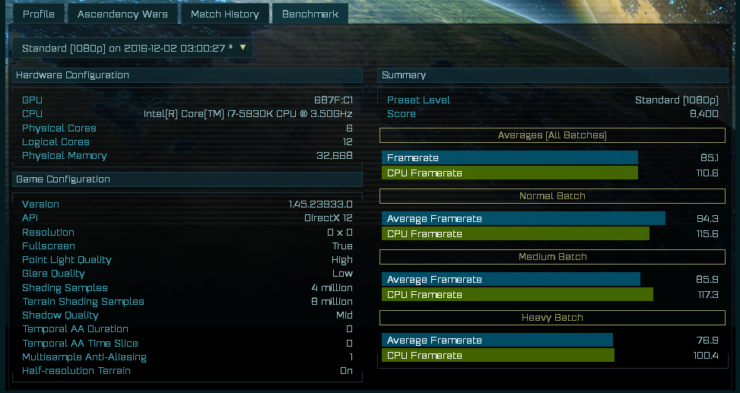 The performance results have appeared in Ashes of the Singularity benchmark database that has previously reported numbers on several other cards prior to their launch such as the RX 480 and GTX 1080. 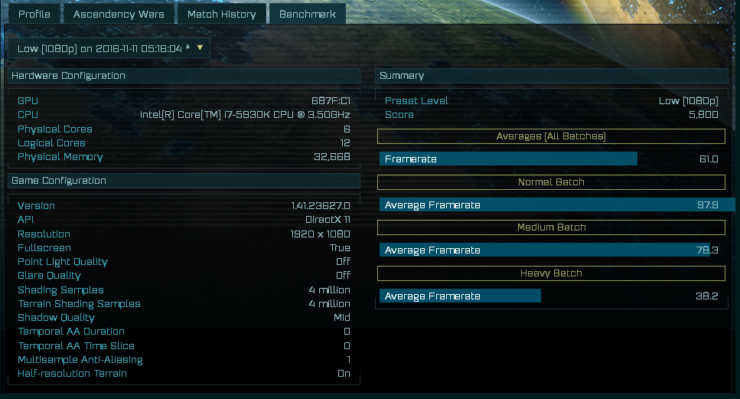 When AMD released the Radeon RX 480, the first performance tests they officially showcased to the audience were from Ashes of the Singularity. AMD compared performance of two Radeon RX 480 cards against a single GeForce GTX 1080. 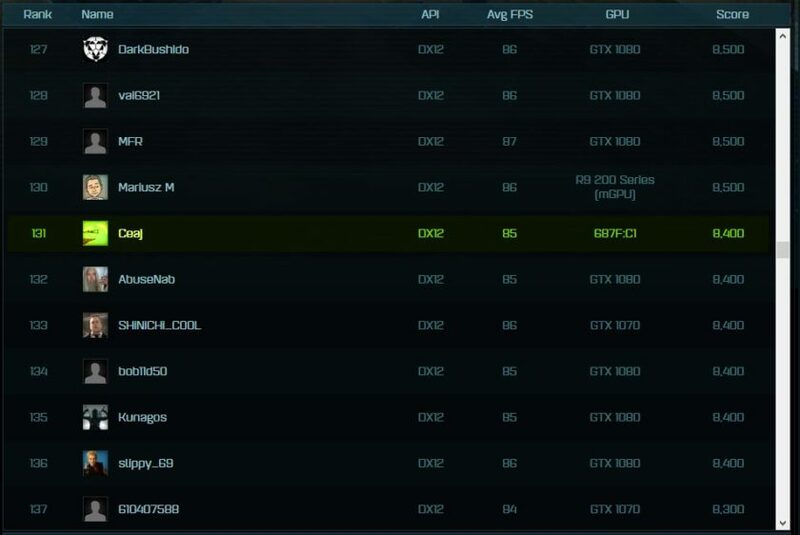 Based on performance and price, the RX 480 Crossfire solution edged the GeForce card. The reason to choose AOTS for comparison was that the game fully utilized Asynchronous Compute. The new tech allows faster graphics performance for cards that support the new tech in DirectX 12 mode. Now with new cards based on Vega architecture arriving in early 2017, we could be looking at the first internal benchmarks of such products from AMD. 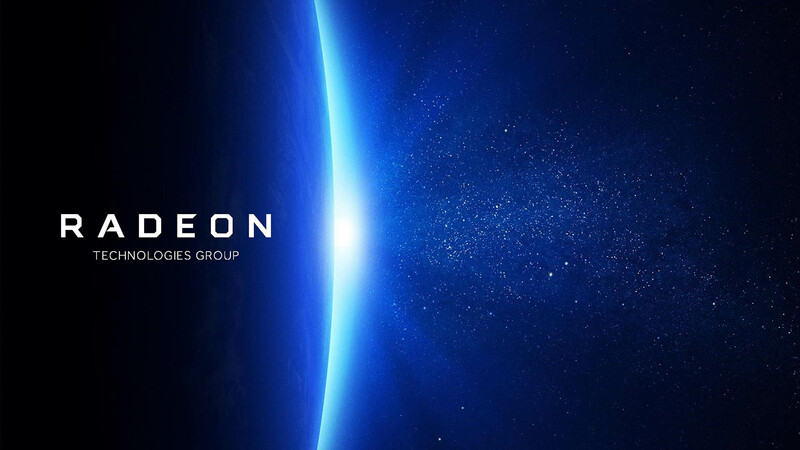 Based on a brand new GCN architecture, Vega GPUs will utilize HBM2 memory and a wide feature set to support next-generation DirectX 12 and VR titles. A few days back, we covered an interesting leak which shows the first listing of Radeon RX 490 graphics card on a retail site. Along with the listing, we also showed some rumored performance numbers of a Pro variant that is aimed at the new Mac Pro arriving in 2017. Performance of the Radeon RX variant will be even higher than the Pro variant. 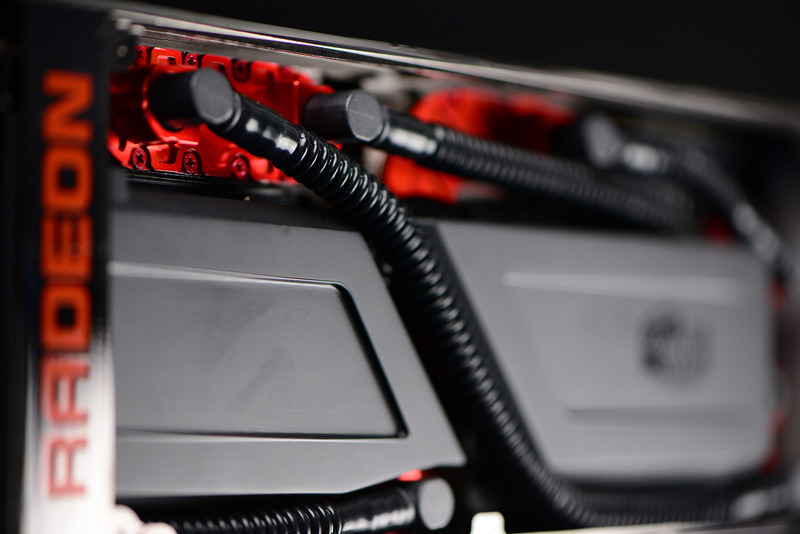 The card will target the 4K resolution and be the go-to graphics card for VR. Top cards will have a bus width greater than 256 bits. It will be based on either a dual-GPU Polaris 10 design (rumor) or Vega 10 (highly likely). Its going to be close to the price point of the Nvidia Geforce GTX 1080. Now there have been some rumors that this card could be a dual chip product but from the benchmarks, it seems like we are only looking at a single-chip solution. The card is listed with the device ID 687F:C1. AMD GPU database doesn’t list any such card and was the same case for the RX 480 prior to its release. So this could be an entirely new GPU which we haven’t seen or heard of before. Now this doesn’t mean that there won’t be any dual chip card. The possibility for that product also remain but I personally don’t think AMD will want to develop a dual chip solution based on Polaris 10. Their dual chip products are based only on high-end chips such as Fiji (Radeon Pro Duo) and Hawaii (Radeon R9 295X2). There are four benchmarks that were conducted with DirectX 11 API mode. These consist of Crazy, Standard and Low settings. The only score that has actually been compared to other GPUs was the Standard 1080P DX 12 test. This shows the card scoring 8400 points which is in the range of what GeForce GTX 1080 scores. The score was listed at 131th position before it was deleted. The fact that it was deleted could indicate that it was not supposed to be shown to public. 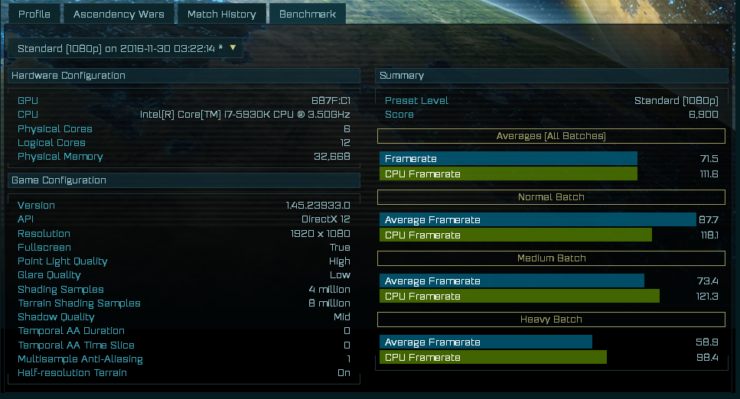 The benchmarks clearly show the card performing next to a high-end GTX 1080. Currently, there’s no GPU from AMD that comes this close in the Polaris Radeon 400 series lineup. Also to note is that the drivers may not be ready yet which will result in even higher performance at launch. This card really looks to be top-notch and built for enthusiasts and we can’t wait to learn more about it. In 2017, AMD finally plans to upgrade all of their GPUs to the new FinFET architecture. While Polaris serves the mainstream, Vega will be aiming for the high-end market. The new graphics chip for Deep Learning will be the Vega 10, a very beefy GPU which we detailed yesterday. 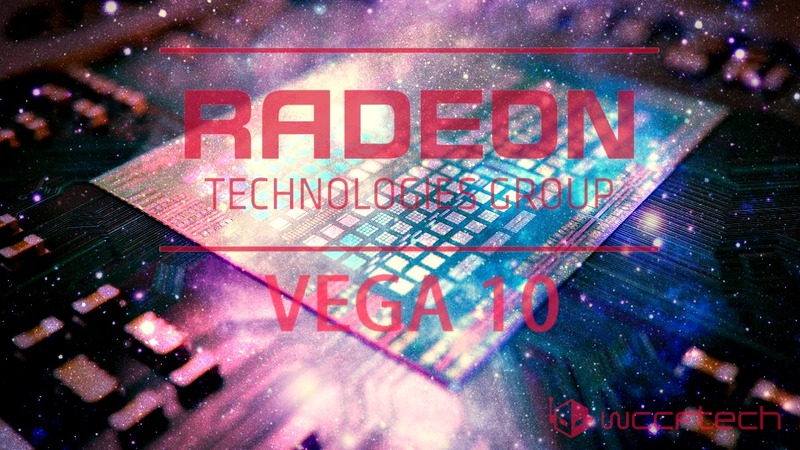 AMD Vega 10 is expected to launch in first quarter of 2017.
rom the leaked details, we now know that Vega 10 can feature up to 4096 stream processors based on a new GCN uARCH (GFX9). The chip has as much as 24 TFLOPs of half-precision and 12 TFLOPs of single precision compute performance. The chip also features up to 16 GB of HBM2 that is clocked to operate at 512 GB/s. The cards based on this chip are rated with 225W TDP. The rumor is really interesting but it is a rumor. We don’t know much about this card but we can expect some details for this product soon.